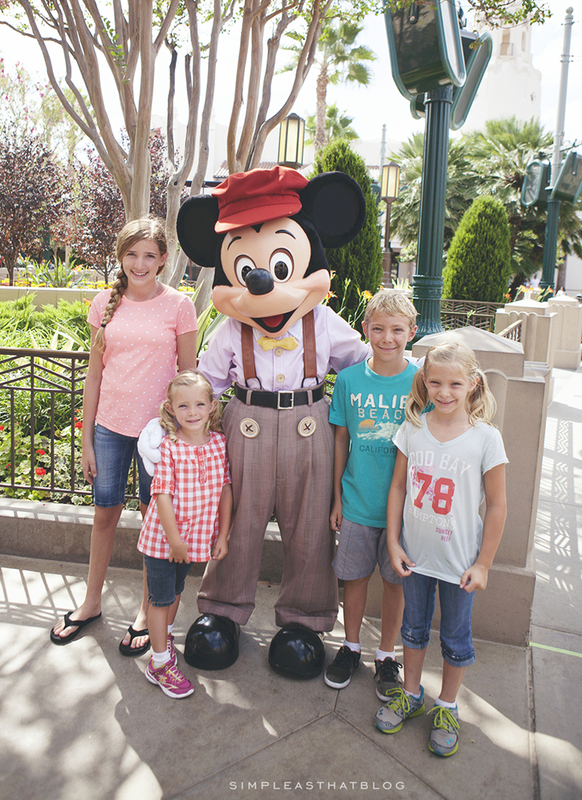 Planning a Disney vacation with your family? Follow these simple tips to help you capture memorable photos and hold on to those magical moments for a lifetime! 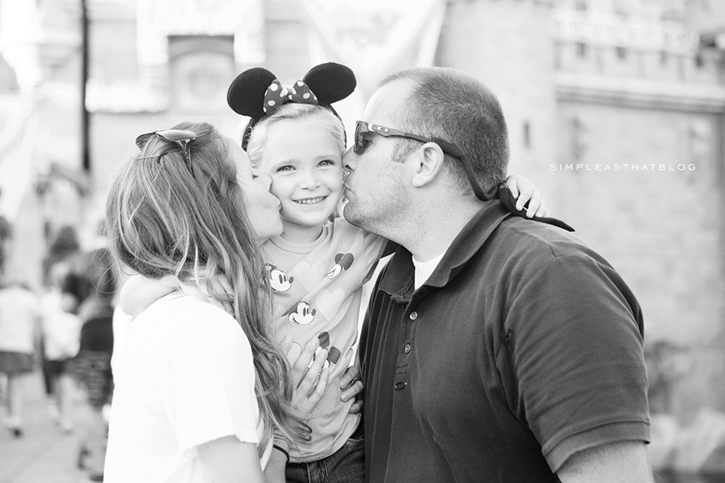 I may have mentioned a time or two, that our family recently had the opportunity to travel to Disneyland! It was an amazing trip filled with many magical memories. Because it was our first time visiting the park it was important to me to capture lasting, memorable photos of this special trip. 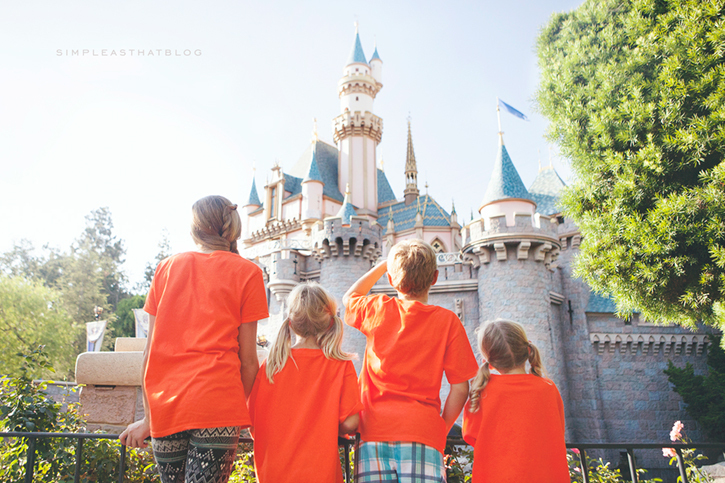 Follow along as I share some tips that helped me capture some truly magical moments during our Disney vacation and be sure to check out our printable free Disney Photo Checklist for even more photo inspiration. What equipment to bring. Long before the moment we surprised the kids with the news that we were going to Disneyland, plans for our trip were underway! Taking photos to document our vacation was a priority for me and planning for those photos had to begin with choosing what equipment to bring. I debated bringing my big camera, but ultimately decided to pack it along and I never regretted it! We carried the camera in a backpack and were able to take it with us on nearly every ride we went on. When we’re travelling I typically bring my camera body, choose one lens that does well in a variety of different photographic situations, pack my iPhone 5 and call it good. Carrying a lot of equipment around the park is going to get really heavy after a long day of walking and standing in lines, so pack light! Getting on and off rides, chasing after kiddos and the moments that can pass by in an instant, just aren’t conducive for taking the time to switch out lenses, so pick your favourite one and go with it. The lens I brought with me and the one that I shoot with almost exclusively lately, is my Canon 24-70mm 2.8 lens. I can’t say enough good things about this lens! It’s an investment for sure, but it’s been with me on all our travel adventures and shoots everyday low-light photos like a dream! I love that this lens is so versatile! It’s has a bit of zoom, as well as a wider angle for those tight spots. Have a plan. Before leaving on our Disneyland trip I took a few moments to plan out what images I wanted to take and researched some other photographers experience at the park so I’d know what photo locations to seek out. I’m a list maker, so I made a quick point form list of images I wanted to snap and kept this list with me to refer to often. Taking the time to do this helped me be more efficient in my photo taking. Resist the urge to take photos of everything and hone in on those moments that are the biggest priority for you. 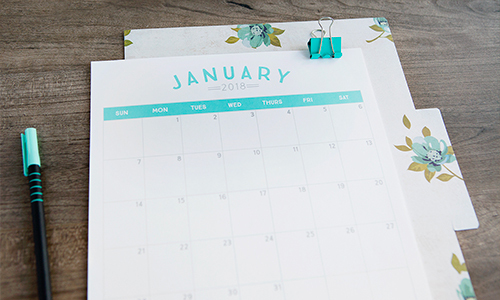 Family members are going to tire of the camera being in their face all the time, so use your ‘must-take’ photo list as a guide to know when to put that camera away and just enjoy the time with your loved ones. Recharge. Make sure you bring your battery charger and a fully charged back up battery! We spent some long days at the park and my camera certainly got a lot of use! My camera battery did well, lasting about a day and a half, but I always had a fully charged backup battery with me at all times. I also captured a lot of photo and video on my iPhone 5 and used it to communicate with my husband when we split up to take kids on different rides or when one of us was waiting in line. I had a portable phone recharger with me and it was seriously a lifesaver! What camera settings to use. When it comes to shooting in a crowd, using a wider aperture setting is where it’s at. A wider aperture (smaller f-stop number) creates beautiful background blur and really helps your subject to stand out, even if you have people in the background and lots going on around you. The image above was taken right before the nightly parade was starting and the streets were lines with people. You can see the crowds behind my two girls, but the f/3.2 aperture setting I used blurred that background beautifully. While you get a sense of where they are and how crowded it was, they still take centre stage in this image. If you are used to shooting in auto mode with your camera, it would not be the best time to experiment with shooting in manual during your Disney trip. If you have some time to get to know your camera before your trip, do it! Being able to adjust things like aperture setting is only available in creative (manual) shooting modes. I’d recommend learning all about AV mode first and foremost! This mode gives you the creative control of changing your aperture settings (smaller number = more background blur) and the camera does the rest of the work for you to help ensure a properly exposed image. For a more in depth discussion of aperture and getting creative with your photography, check out my online photography course, Capture Life! Change your perspective. Going beyond the posed, look-at-the-camera-and-smile photos is where you’re really going to get into capturing the magic of your Disney vacation. Don’t get me wrong, those posed shots are definite must-haves, but throw in a few creative photos to really help you tell the story of your trip! Get down and shoot from below, snap a photo from behind when your subjects are engrossed in a show or collecting an autograph from a favourite character. 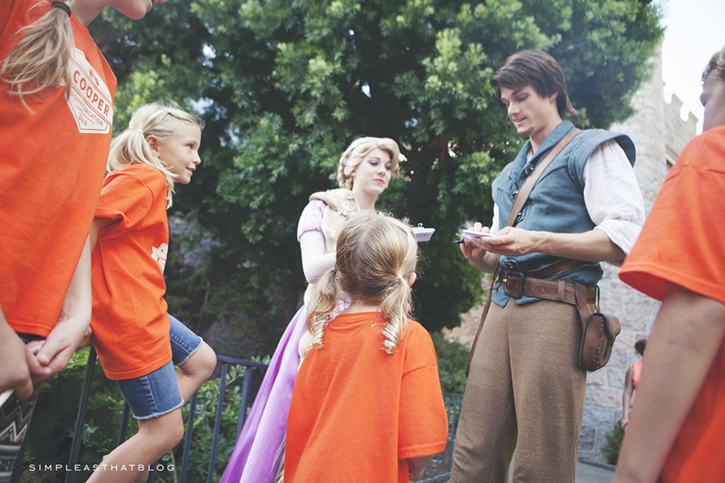 I have a great posed shot of all my kids with Rapunzel and Flynn Rider, but this image taken from below, really portrays my youngest daughters perspective and the sense of awe she (and all my kids) had at meeting them! Test it out. 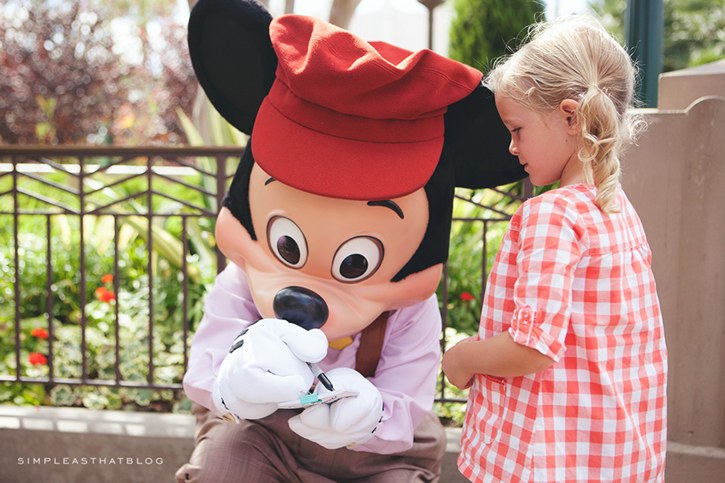 When it comes to capturing photos with Disney characters you’ve got to be quick. Having your camera settings ready to go before the photo opportunity arrives will really help you capture the moment. What I did to ensure my settings were accurate before my kids turn came up in line ,was take a test shot of the Disney character before our turn. I was able to judge the lighting, make any adjustments that were needed and when it came time to snap a few photos of my kids I was prepared! 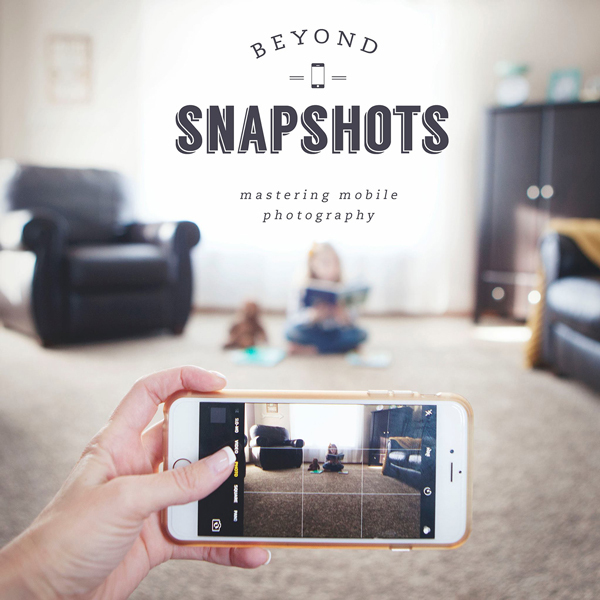 Capture authentic moments. Getting great candid photos is always a challenge, but totally worth the effort when you are able to catch them! I recommend snapping beyond the ‘smile-and-look-the-camera-moments’ to capture genuine interactions. 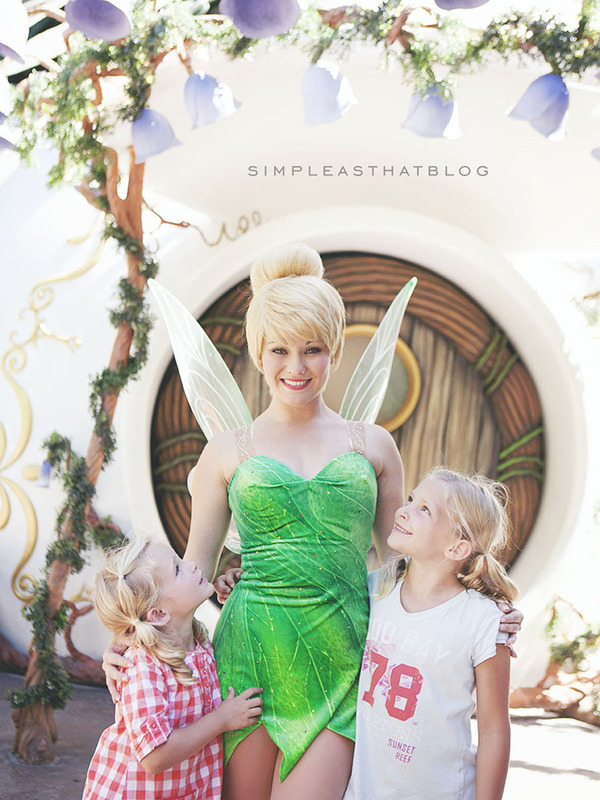 In the photo above my girls were posed to take a photo with Tinkerbell and I got a handful of great shots of them all looking and smiling at the camera. It was when they realized it was time to go that they turned to look up at Tinkerbell and I was able to capture this sweet moment that happened in a millisecond. Get those posed shots, but watch for authentic moments to happen in between and be ready to capture them! Focus on the details. 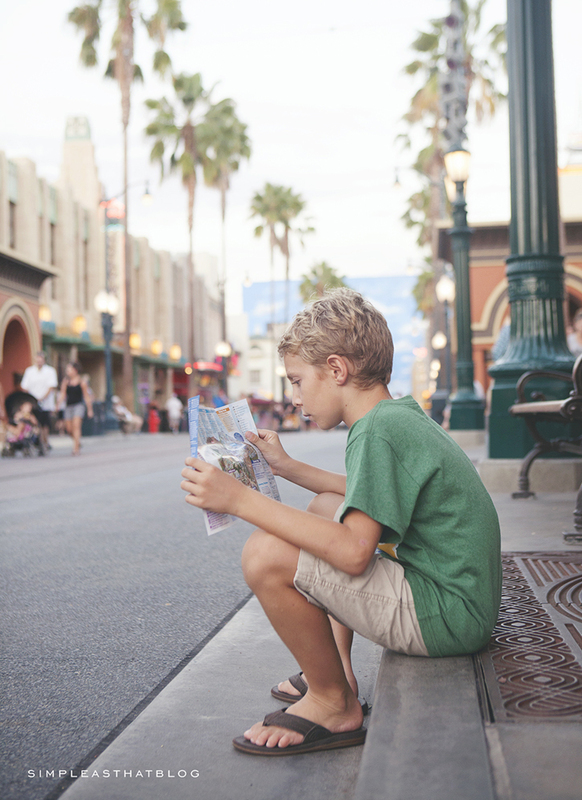 Don’t forget to capture some of the small details of your Disney trip! Take a photo of someone holding the park map, get a shot of those mouse ears or zoom in on that special treat you enjoyed! These little details are just as much a part of your Disney experience as all the ‘big’ moments so give them a chance to shine once in a while. See the big picture. As you focus in on those little details, take a moment to zoom out and see the big picture. There is so much beautiful scenery at Disneyland and it’s worth including a few memories of the views in your vacation album. Get a shot of the castle, take a zoomed out shot of one of your favourite rides. Back up and take it all in! This is where a camera lens with a wider angle comes in handy. See what equipment to bring tips above. Stand back and observe. One of my favourite ways to record vacation memories is to take a few steps back and take on a roll as observer. Staying behind the action a little bit allows me to watch for and capture authentic moments when my subjects don’t know I’m taking their photo. In the image above my son was sitting down planning out the next ride he wanted to go on and I was able to zoom in and snap this quick shot as he was preoccupied with reading the map. Get in the shot. Make sure you take the opportunity to pass that camera off to someone else and get in a shot or two. 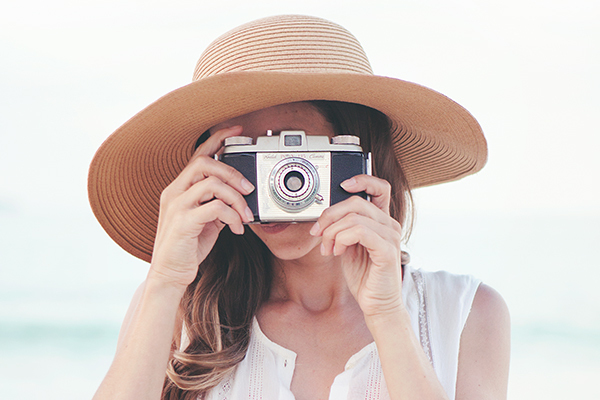 These are your vacation memories too and you need to be seen in those photos! Ask a passerby to snap a photo of your whole family, have your husband take one of you with the kids or set your camera/phone up to take a self timer shot. You won’t regret documenting your place in these magical memories, trust me! Saying goodnight. As the sunlight fades on your Disney vacation, that doesn’t mean the action stops! Shooting photos in low light can be tricky but isn’t impossible. 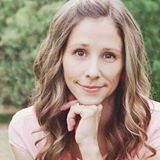 One trick is to use your camera or phone’s self timer to snap a quick image in low light situations. This eliminates the camera shake that can be caused by you pressing the shutter button. Use the self timer to eliminate blur and get a few shots of your nighttime Disney adventures. I snapped the photo above by propping my iPhone up on a ledge and using the timer option within the Camera+ app. 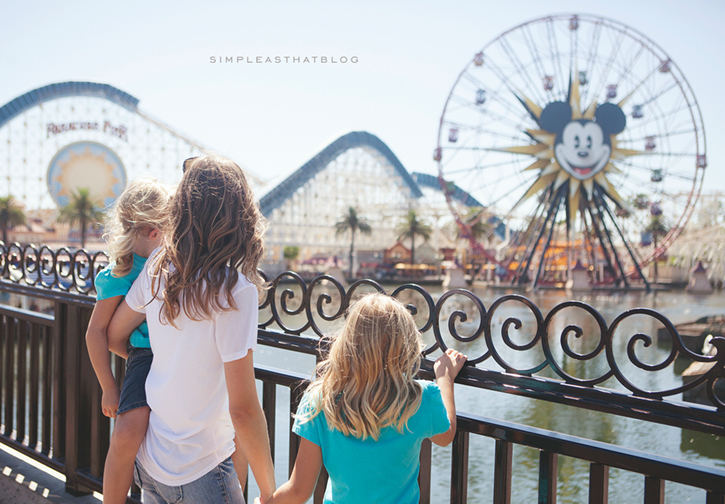 I hope you enjoyed these tips and if you’re planning a Disney vacation with your family anytime soon, have SO much fun! We had the best time ever and I’m so thankful to have these memorable photos so I can hang on to the memories of this special trip years down the road! Have any additional disney-themed photo questions for me? Feel free to ask away in the comments and I’d be happy to answer. 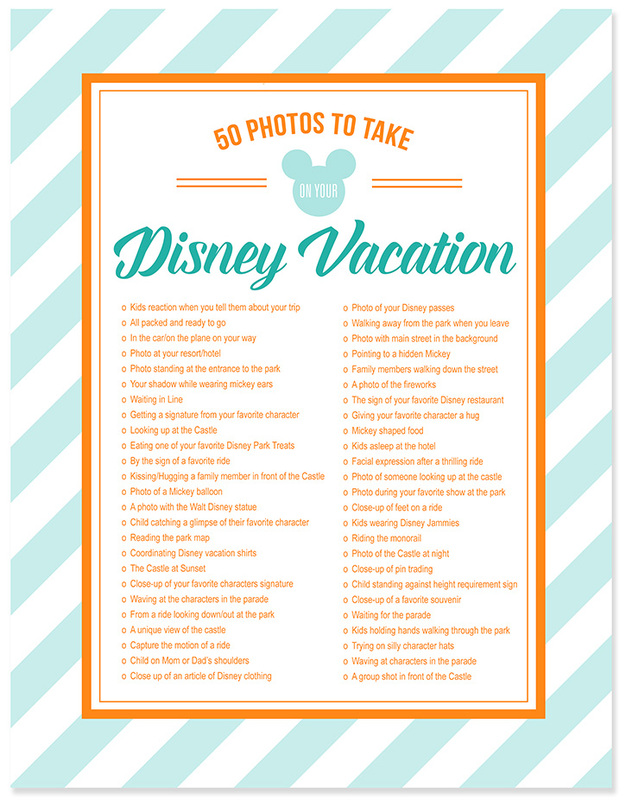 Download this free “50 Photos to Take on your Disney Vacation” printable checklist to help you capture memorable photos and hold on to those magical moments for a lifetime! I love the photo of the pineapple whip! Its the best part of the park. Your family is beautiful! I will definitely be using some of your tips! 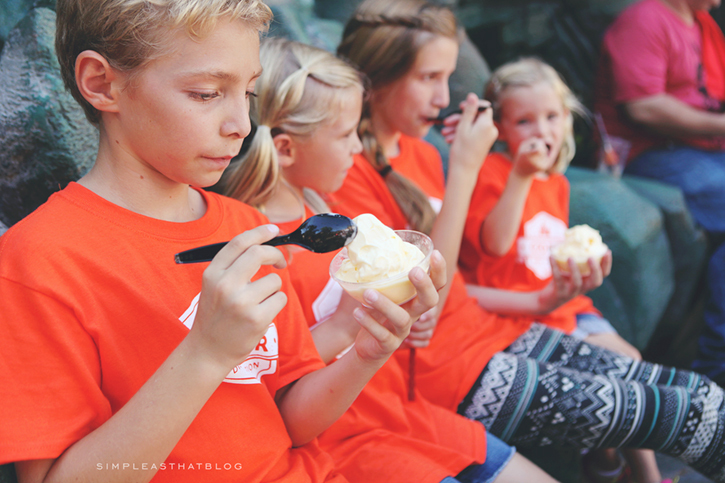 THe dole whip is definitely where it’s at Elisha! 🙂 Thanks for your sweet comment! Your Disney pictures are amazing! I particularly love the one of your son and the map. Wow. I usually just have the posed pics but we are going on our first WDW trip as a family of four and I want to capture more. Thank you for the tips! I am so in love with these photos! 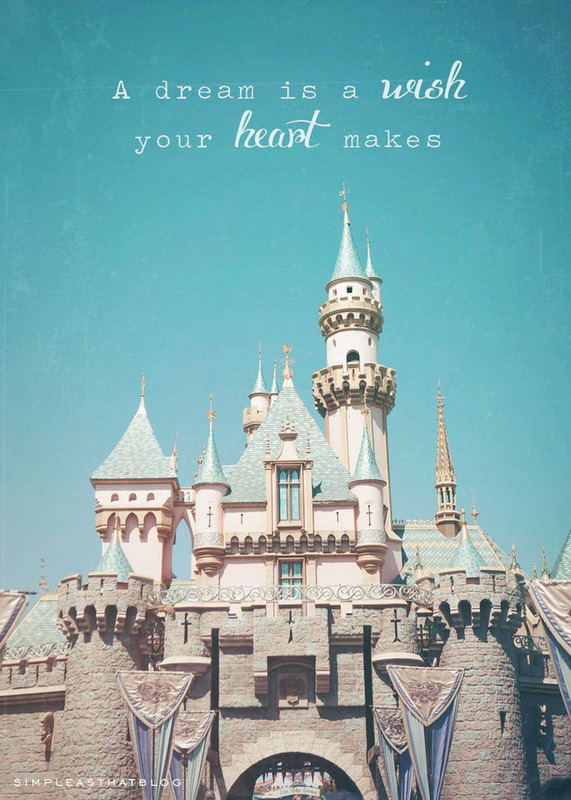 I’m getting so excited for my family’s trip to Disneyland in January!! It has been too many years since our last visit. Is there a budget-friendly version of that lens that you would recommend? I only have my kit lens and a 50mm fixed lens that wouldn’t be ideal for the trip. I would love to get a great lens, but I can’t afford an “investment” right now. Any suggestions? 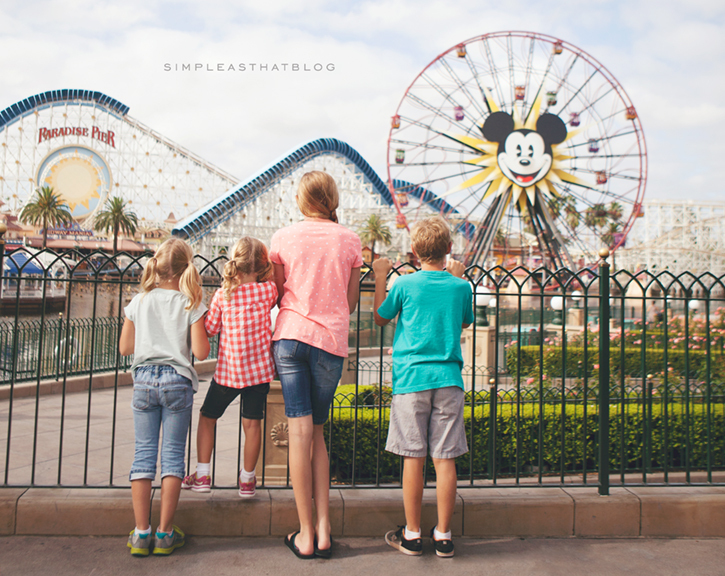 Really great tips for Disney photography! We’re planning to take our grandkids next summer, and I’m bookmarking this post now to refer back to before we go. Thanks so much for sharing. Rebecca, your photos are FANTASTIC!! I love the one with Rapunzel and Flynn Rider! Actually, I loved them all. Thanks for the great tips! Such great photos as always. We are headed to Disney in November so thanks so much! I was curious what camera you use? Canon, but what model? thankyou so much for these wonderful tips!! Can you please share the list of places you chose to take photos at? We are going next week and it is our first trip. So overwhelming! Can’t wait to see that! Leaving on October 7th and so excited!!!!! LOVE these – seriously – need to get that lens! We were just at Disney at the beginning of the week – wish I would’ve seen this earlier! Found you through the Friday link up party. we are headed there in 3 weeks. can’t wait to use some of your tips. thanks, girl! Thanks so much for this! Your photos are perfectly magical! I couldn’t love this post more! Sharing it with my readers today. Thanks for the inspiration! Thanks so much Sarah! 🙂 The portable charger was seriously a MUST HAVE! So glad we had it. These tips are great! I love the one about playing with perspectives, I’ve never thought about that! Can’t wait to try these out on our next outing! Thank you for sharing! 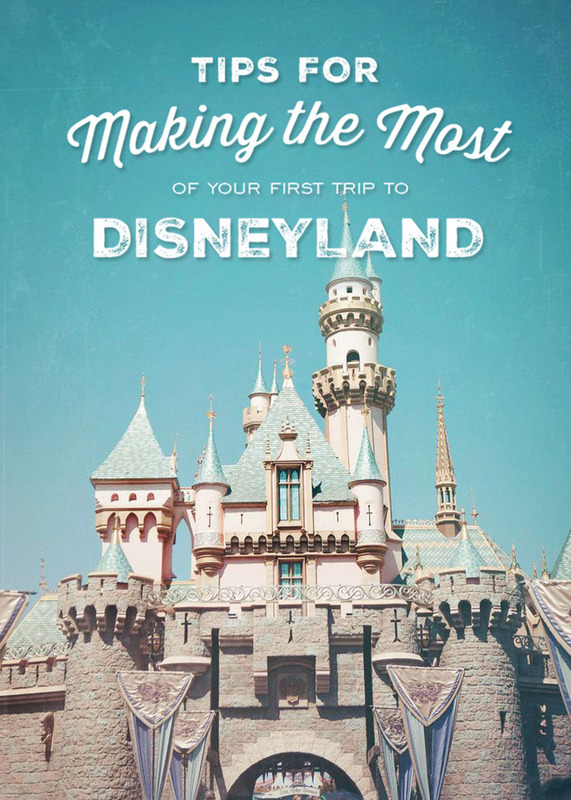 We are going to Disneyland in January and I can’t wait to try out some of your trips. Truly gorgeous photos! May I ask how you get that perfect white balance with such creamy skin coloring? Is that a setting you use, an action, or something you do in post processing? Thanks! I absolutely love your pictures!! Beautiful! My family and I are headed to Disneyland on the 24th of this month!! So excited…waiting to tell my 5 year old twins either the night before or the morning we head to the airport. 🙂 Look forward to reading a post on your ‘Must take photos’ 😉 Any idea how to go about finding out the equivalent lens for a Nikon body? Thanks for all the information, really enjoy reading your blog! Hi, thanks for responding! I did some research and went ahead and rented the Nikkor 24-70mm f/2.8G ED for our trip! 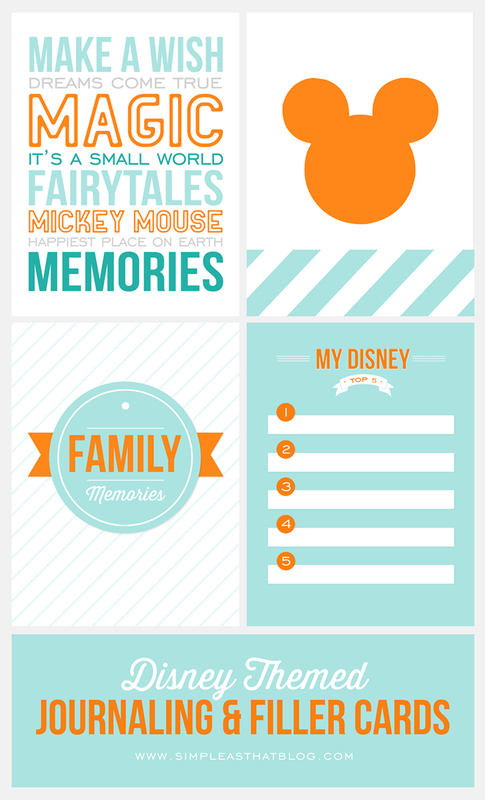 Look forward to your post about a Disney photo checklist! 😉 Yes, I’m having a difficult time not ‘spilling the beans’ to my kids! It’s even harder when they ask when are we going to the beach, Disneyland?? Seems like they have been asking that more since we planned this trip 🙂 Thanks again! I am headed to DisneyWorld for my 30th and debating which body to take (the Rebel is lighter but the 5D has way better aperture capabilities!) and I’ve been thinking about renting the 24-70mm for the occasion…I might just have to after seeing your photos!! First, your photographs are beautiful! So inspiring. 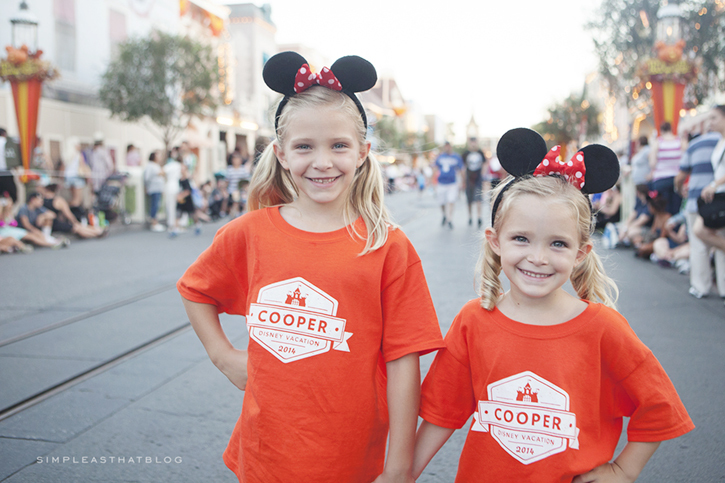 I’m interested in your adorable family disney shirts. Love! Where did you get them? Thanks!!! I love the tone in your photos! Do you use any specific photoshop actions? If not, you should create some to sell, I would buy in a heartbeat! 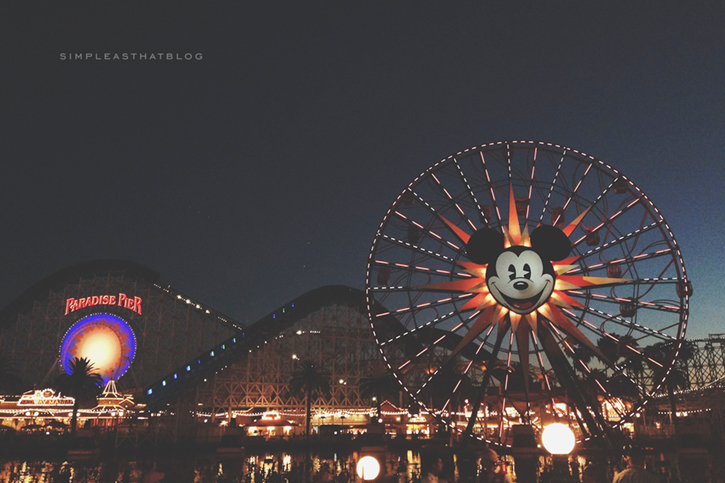 I’ve never wanted to go to Disney so bad, until now! Lol! Your photos make it easy for me to realize that we need to go there! Plus… I’m grabbing a lens like that. But shoot… I have a Nikon. Hoping the Nikon equivalent is just as good! Thank you for letting us all know which one you use! Beautiful photos! What camera strap do you use? I love love your photos. I was wondering how you edit your photos. love the colors. Just stumbled across this post. It was so informative. I’m going to reasearch that Canon lens … we leave for Disney next Sunday so I can’t wait to capture some of these sweet movements! !